Dispatch Talent brings you a variety of interactive activities and busker performances. 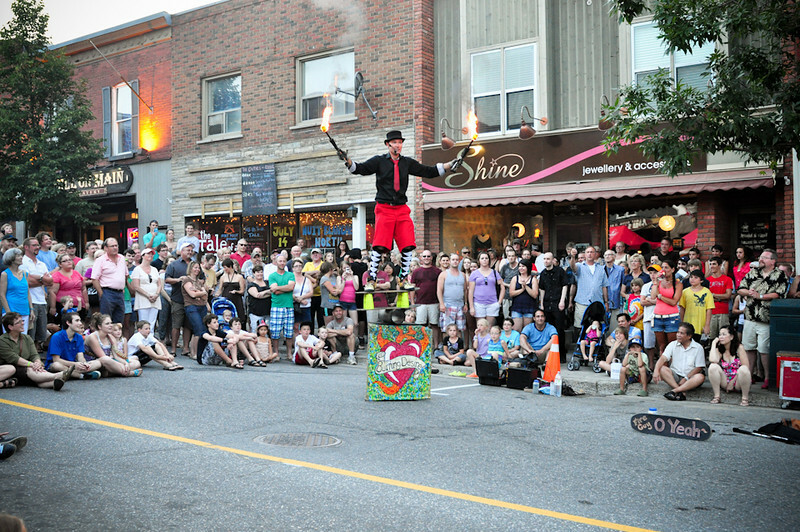 World class buskers will dazzle you with acrobatics, juggling, stilt walking and fire play. Featured performers include The Fire Guy, Pyromeo, Joe Cobden, Seb Whipits and the Hercinia Arts Collective. You can also get in on the action and learn how to juggle and hula hoop with glow in the dark equipment. Stick around until 11pm to Feu Blanche: a brilliant fire show that will light up the town docks and the night sky! Drawing Inspiration from the compositions of R Murray Schafer, this installation invites visitors to immerse themselves in the world of one of Canada’s most celebrated composers through visual art and soundscapes. Want to come to R Murray Schafer’s Birthday? Click Here for details. Roaming Performance on Main St.
A troll lies under the bridge. What might the gifts of the troll be? 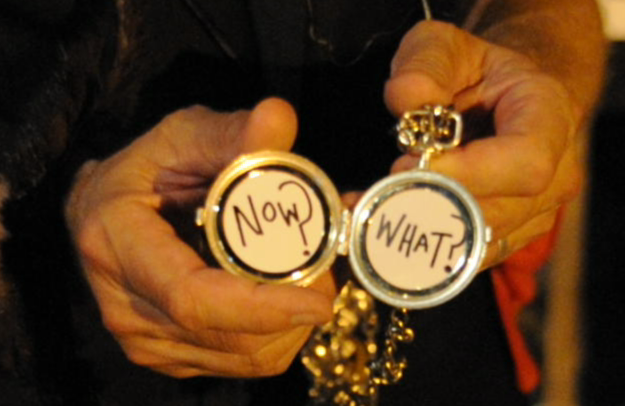 Can we gain from facing the choice of whether to cross the bridge or not? Intersection of Main St. & Brunel Rd. A self sufficient, interactive, human powered art installation. 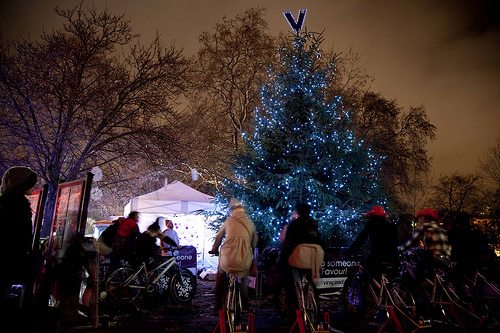 Over 500 lights, sound and other elements, will be propelled by re-purposed exercise bikes. Buy some ice cream, peddle a bike and watch as the world around you comes to life. What ties you to the land? 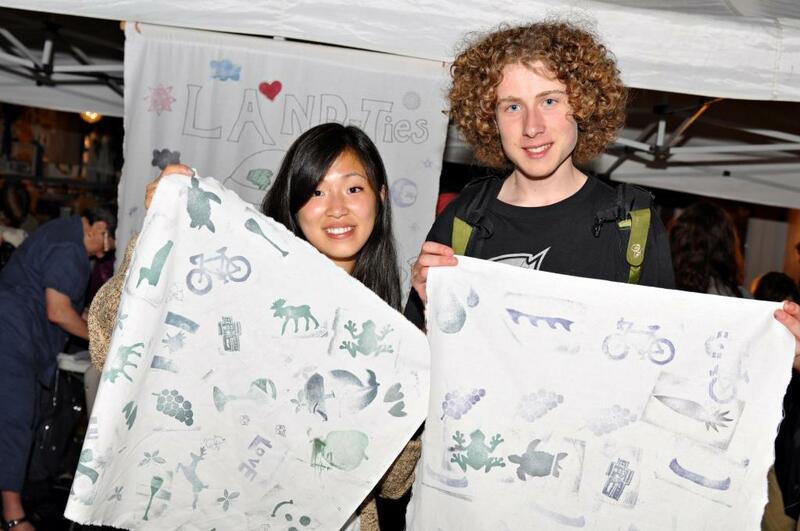 Create your own Land Ties or Landanas using land themed printmaking stamps and waterproof inks on fabric. 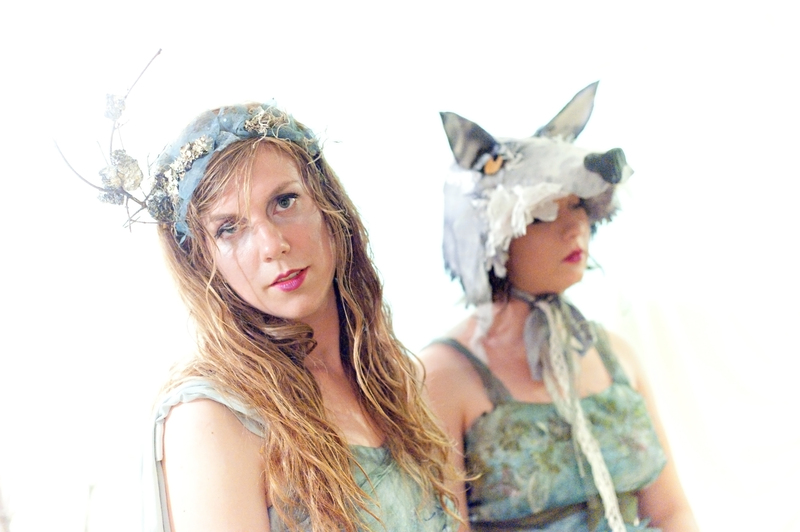 Join artist Elise Muller (creator of last year’s hit Mad Hatter’s Millinery) at her interactive booth and make a scarf, sash or bandana to wear around Nuit Blanche North! Sutherland Hall, All Saints Anglican Church, 30 High St.
Footsteps is an invitation to listen to something you don’t normally pay attention to. 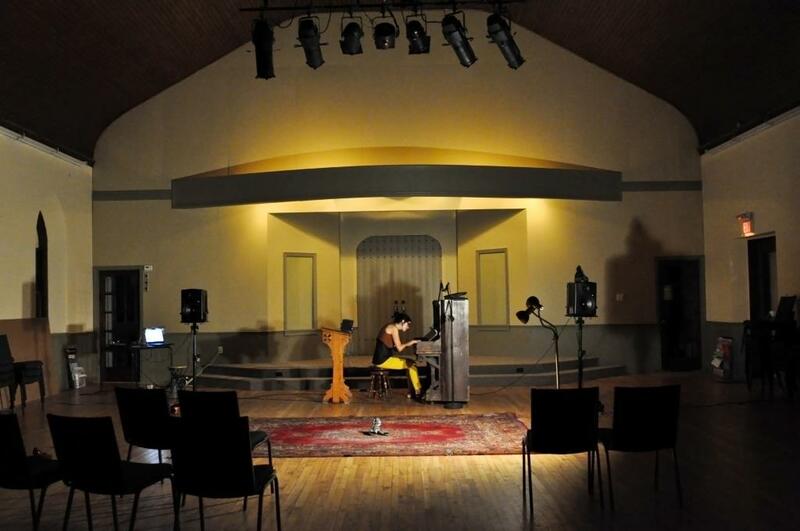 We absorb the peripheral in our everyday life; Footsteps explores the commonplace and asks us to hear in a unique way. Taken out of context, footsteps are so endearing! One can imagine stories–attitude, insecurities, reckless abandon–entire approaches betrayed by the sound of your gait. Included here are original piano compositions. The music arose from both the natural rhythms and inherent mood of the footsteps recorded.